It’s pretty safe to say I spend at least 99.99% of my waking hours thinking about AT gear. 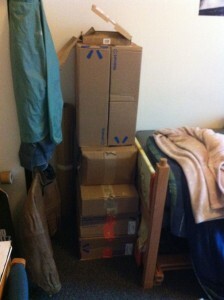 Oh, did I mention that this is only boxes from this week? At least seven or eight boxes have already made their way to the recycling bin. At this point, I’m tempted to order more just so we have enough to make an entire box castle. Shoutout to the UNCW Post Office for always having my back and enabling this bad habit.